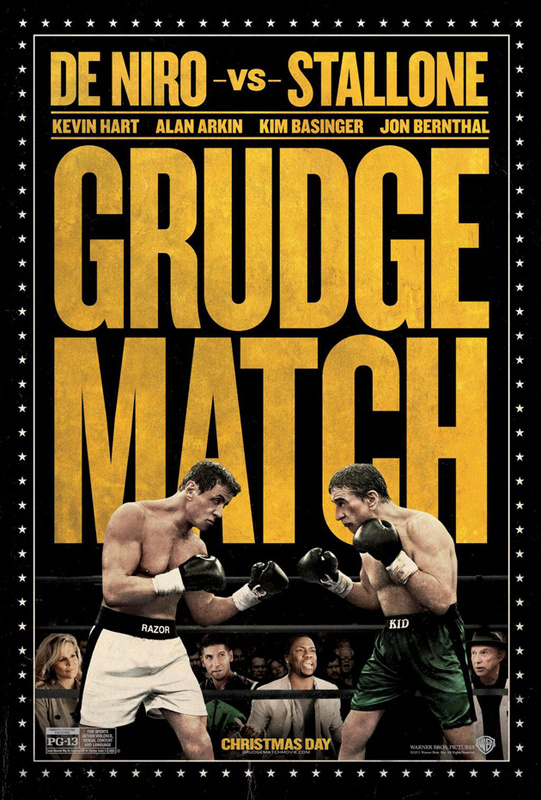 Before this movie can laugh at itself, which “Grudge Match” (a story about a pair of aging boxers rival who are forced out of retirement for one last fight) does frequently and unashamedly, it must first cope with getting punched with parody titles. “Rocky Balboa Vs Jake LaMotta”, “Raging Old Men”, “Resurrecting The Old Champs”. You name it. The thing is, when you hire Robert DeNiro, Sylvester Stallone and Alan Arkin to deliver jokes about being old, you sit back and laugh with them. Director Peter Segal (“Get Smart”, “50 First Dates”) lets these guys have their own fun and most of it is damn contagious. I admit: I expected to go all Scrooge on them. And make no mistake, there is much here to cringe at. But these guys are not “dead” yet. Just when you’re ready to lose hope, AC/DC’s “Back in Black” kicks in then Stallone and DeNiro step in the ring and you find yourself ready to cheer. Not bad, old men.